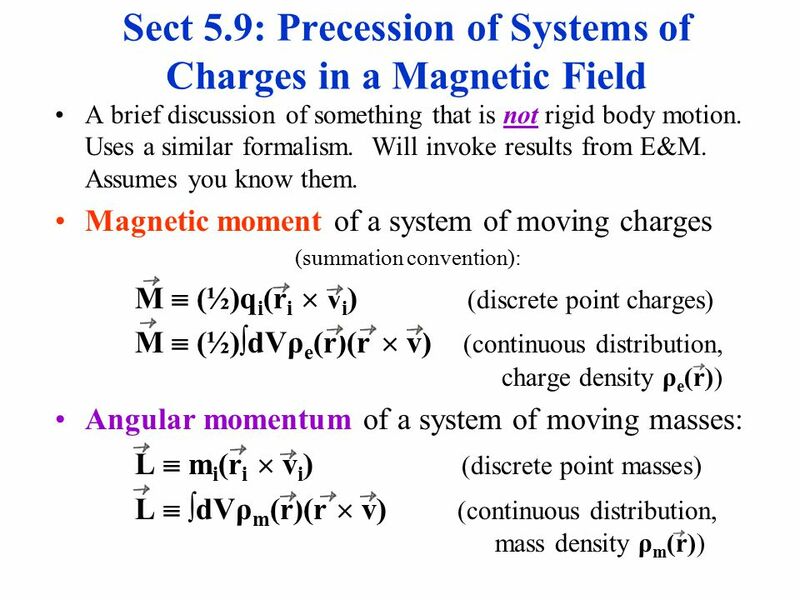 Sect 5.9: Precession of Systems of Charges in a Magnetic Field A brief discussion of something that is not rigid body motion. Uses a similar formalism. 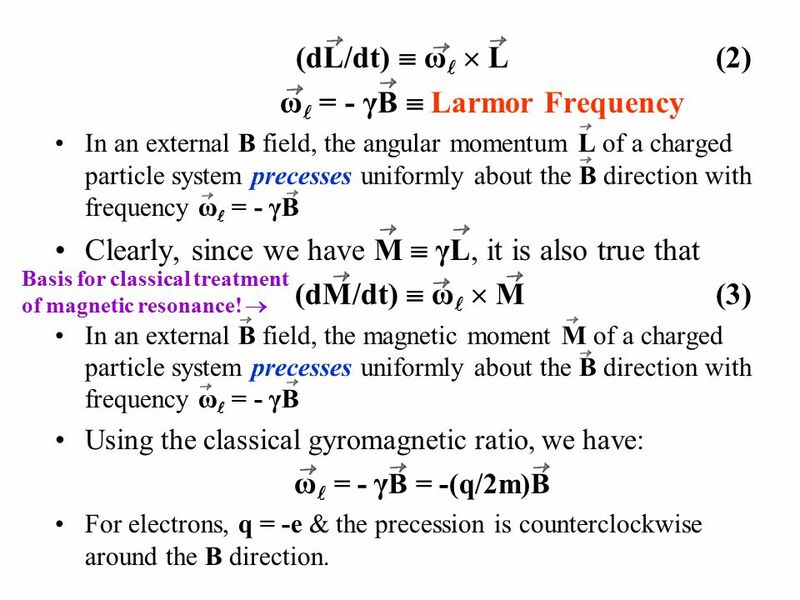 Download ppt "Sect 5.9: Precession of Systems of Charges in a Magnetic Field A brief discussion of something that is not rigid body motion. Uses a similar formalism." 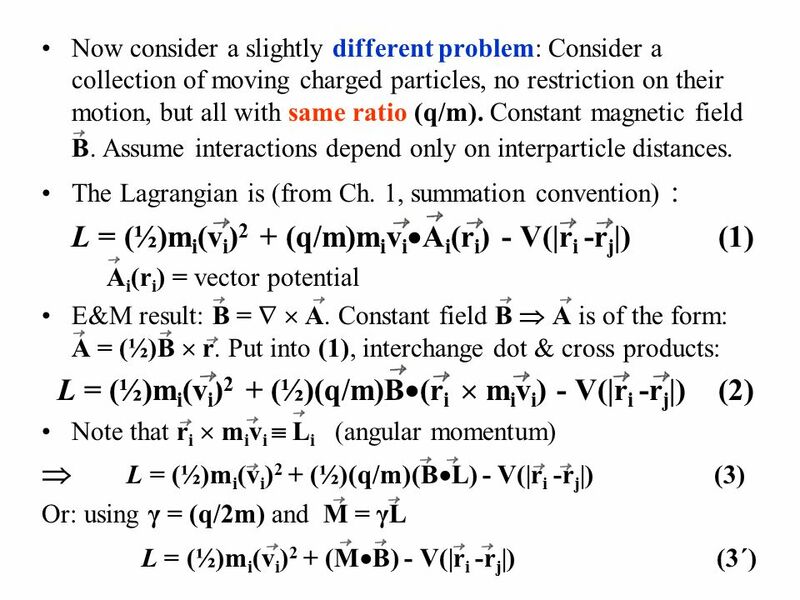 Physics 430: Lecture 24 Euler Equations Dale E. Gary NJIT Physics Department. Chapter 4: Rigid Body Kinematics Rigid Body  A system of mass points subject to ( holonomic) constraints that all distances between all pairs of points. 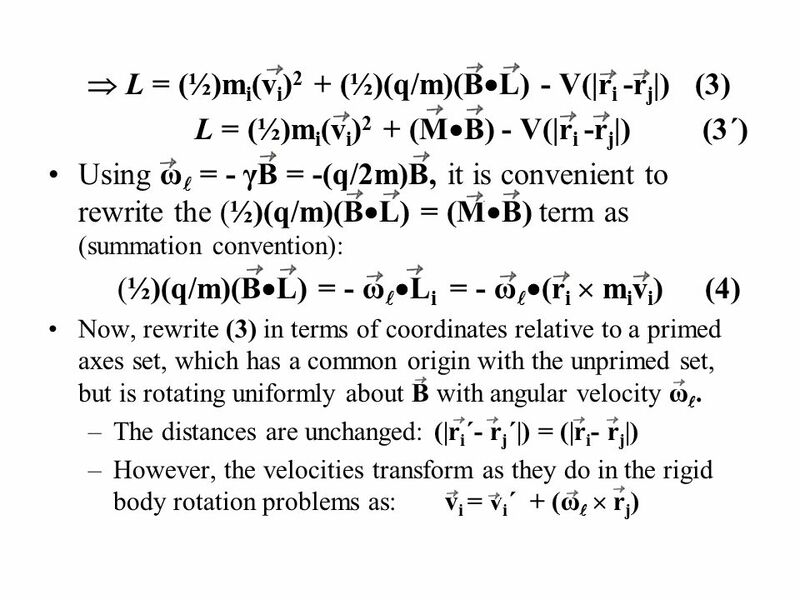 PHY205 Ch14: Rotational Kin. and Moment of Inertial 1.Recall main points: Angular Variables Angular Variables and relation to linear quantities Kinetic. 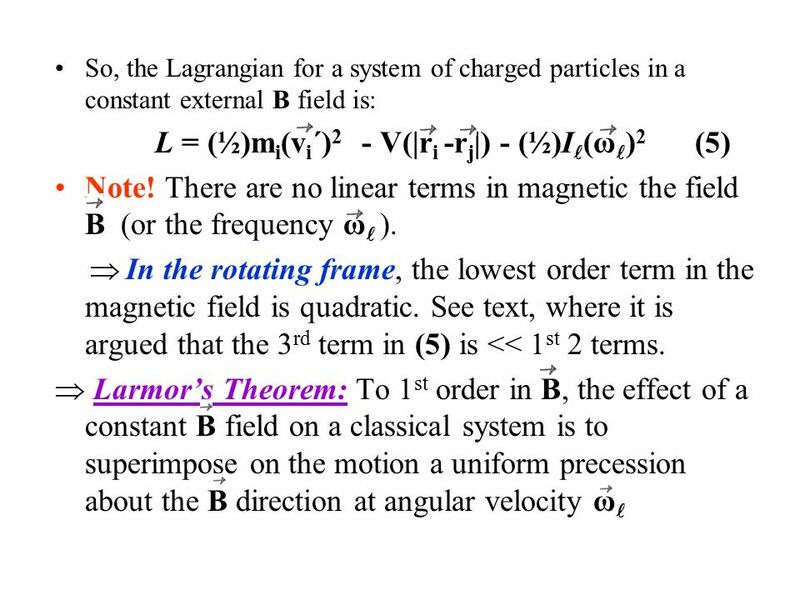 Angular Momentum (of a particle) O The angular momentum of a particle, about the reference point O, is defined as the vector product of the position, relative. 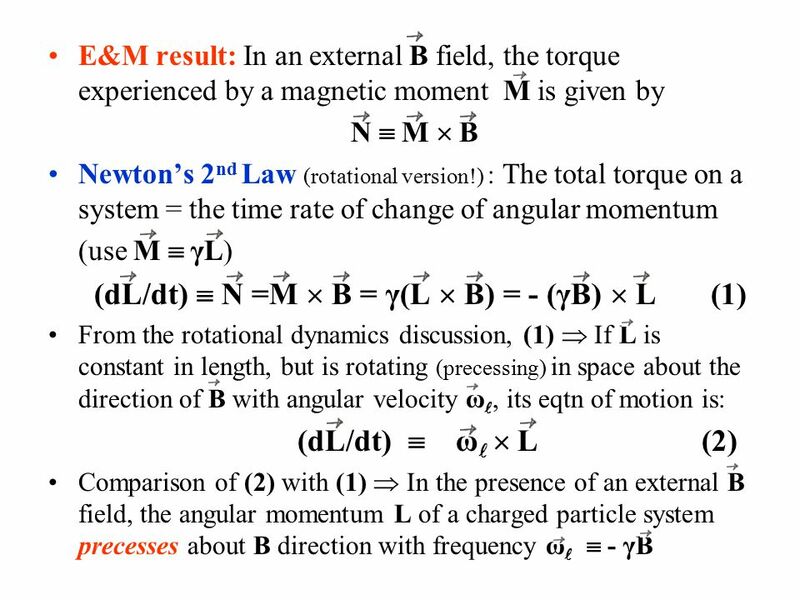 Chapter 11 Angular Momentum; General Rotation Introduction Recap from Chapter 10 –Used torque with axis fixed in an inertial frame –Used equivalent of. Euler Rotation. 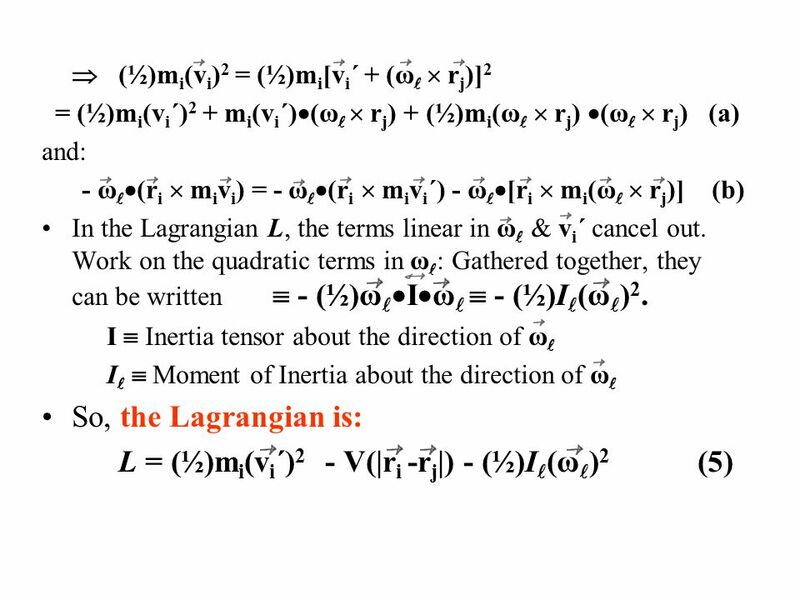 Angular Momentum  The angular momentum J is defined in terms of the inertia tensor and angular velocity. All rotations included  The. 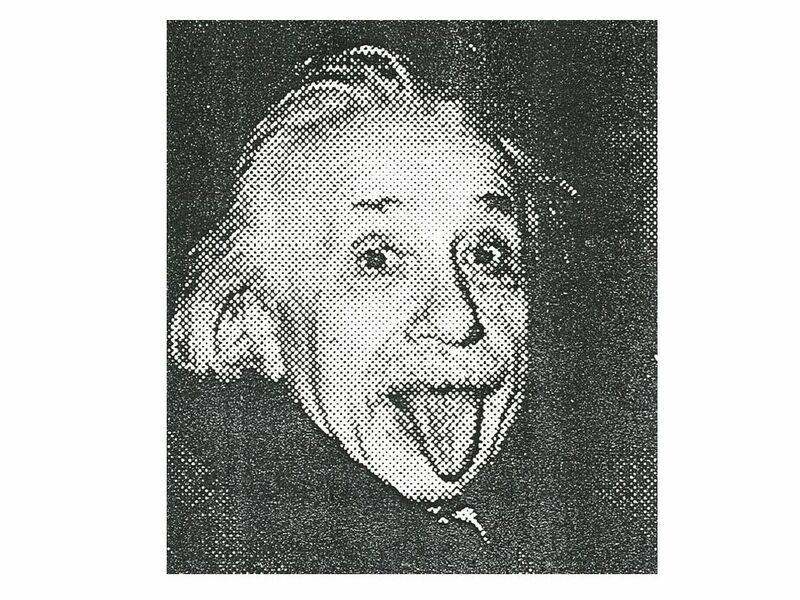 MRI Lectures Disclaimer: This material is not novel, but is collected from a variety of sources on the web. Angular Momentum. Moments  The moment of a vector at a point is the wedge product. 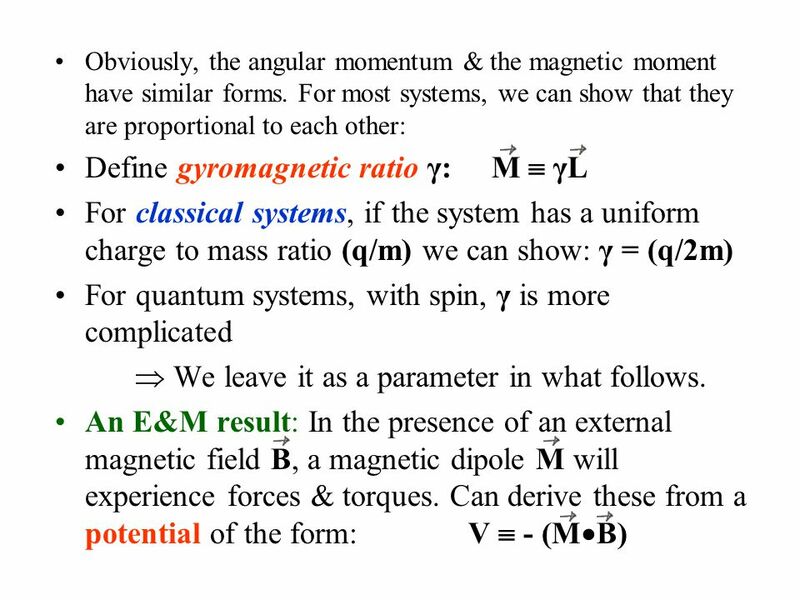  This is applied to physical variables in rotating systems. Applied.